Our Focus ... to get you to, and through, Retirement. Better Financial Education does not operate the below websites. I have consolidated the links to the main sites here on one page so that you are sure you are going to the proper website. Your Big Picture and Long-Term Reports. Loring Ward. Powered by Envestnet. Current clients may log-in (click on "Structured Investing" photo*) to go to the Loring Ward website where you can access your current account information and reports. This website informs you as to what your portfolio has done to date (past to present). These reports provide "big picture" results for your holdings. You activate this site online using your account information. Your Details and Monthly Reports. TD Ameritrade Institutional. Current clients may log-in (click on "TD Ameritrade" photo*) to to go TD Ameritrade Institutional's client website to access current account information. This site provides specific details for your holdings and tax documents. You activate this site through the instructions on that site for new people. 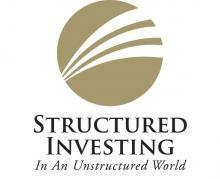 TD Ameritrade Institutional is a Custodial Bank, described in item III in this blog. If you are looking for forms, you may click here to go to Client Administration page.